The name comes from 'Artevelde' (1167). The ethymology of the first part is not known and the second part "veld" meant waste land. 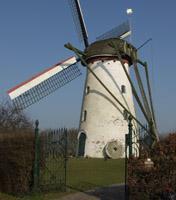 The name then changed to Aertevelde (1347), Thertvelde (1477) and finally Ertvelde (1524). There is not a trace of human activity here before the 12th Century. The town came into being in the middle of the 12th Century on the spot where the Antwerp Road crossed the road from Ghent to Biervliet. (Until at least the 16th Century Biervliet was on an island north of St. Margriete and Boekhoute in a channel that penetrated deep into the country all the way to those towns.) It was a region of very poor quality land. It was part of the Assenede Corporation. The Antwerp Road remained until the 16th Century the most important road across Ertvelde. It is in the bishopric of Ghent since this bishopric was created in 1559. Important in the development of the eastern region was the 328 acre "desert" in Kluizen and in Ertvelde that Wouter van der Averien in 1227 received from Countess Johanna and her husband Fernand. This later became the Seigneury of Averije. Averije together with the Twelve Farms was the main part of the old towns of Ertvelde and Kluizen. The whole territory of these two towns consisted until about a hundred years ago of two sharply delineated landscapes: to the west lay the valley of the Burggraven (Viscounts) River, a water logged region where one was almost constantly worried about inundations. To the north and east of this area lay the heath of Rieme and Tervenen. Until the 18th Century there were wolves and foxes here and the sand quarries of the heath of Rieme were let to the sand bargemen. The town center grew around the Antwerp Road and the Bruggraven River. The "Lindelaan", Lime Lane was planted in 1846. It is not known when the first church was built in Ertvelde. In 1580 the church was destroyed and in 1593 its ruins served as a military fortress against the pillagers. From 1620 the church choir was again used for religious services. In 1918 the church tower was blown up and in 1940 the tower and a large part of the nave were once again destroyed. 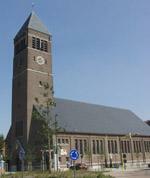 The church was rebuilt in 1954 according to the plans of architect H. Vaerwyck. 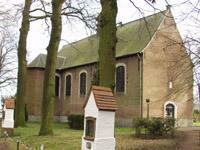 And then there is the Stoepe Chapel devoted to our Lady of Stoepe. Experts believe the oldest part of the chapel was built in 1457. The chapel was destroyed in 1577-78 during the religious troubles but around 1610 it was rebuilt. In 1618 Archduke Albert came to the shrine with his wife Isabella, the infanta of Spain, both devout Catholics who jointly ruled the Spanish Netherlands. In 1644—we're nearing the end of the 80 Years' War—the chapel was badly damaged by the States ("Staatse" or Dutch Republican or Protestant) Army but restored and even enlarged shortly after that. The Stoepe Days are from 8 to 16 September. Ertvelde is the birthplace of the poet Firmin Van Hecke. He was born on 21 November 1884. In 1914 he left for England where he became a soldier but in 1919 he was back in Belgium. He soon went to work for the Ministry of Education and he spent his entire career in that same Ministry to became a top civil servant. His poems are the testimony of a very intense inner life. He died in Ghent on 29 July 1961. Our source for most of the above is the excellent: "Streekgids Meetjesland" (Meetjesland Regional Guide), pp. 75-78 by Ernest Van Herck. When next time you're in or near Ertvelde you might want to go see the Beer Museum. If you're a beer lover—or just simply want to know what's really good for you—you could do a whole lot worse than tasting their special beer called Beremietje, brewed exclusively for the Museum. 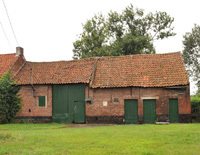 Ertvelde is also home to the Van Steenberge Brewery, the only remaining big active brewery of our Meetjesland.